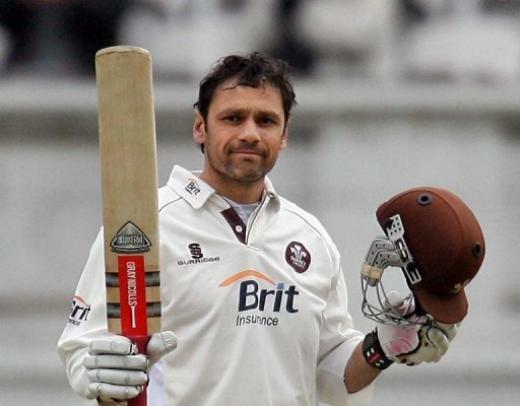 Former England batsman Mark Ramprakash has announced his retirement from all forms of cricket with immediate effect. Ramprakash, currently 42-years-old, started his career off with Middlesex in 1987, but decided to call it quits after being dropped from the Surrey team earlier in their domestic season. Ramprakash, who made a name for himself by scoring runs at ease in first-class cricket, was unable to do the same on the international stage, as he scored only two centuries in 52 Tests for England. However, he will definitely have no regrets about his first-class career, where he scored 35,659 runs in 461 first-class matches since he made his debut. Ramprakash has also recorded more than 13,000 runs in limited overs cricket. The former England batsman made history by scoring 100 first-class centuries, and is widely regarded by cricket pundits all over the world to be the last man to do so since the domestic season has been shortened. Ramprakash was dropped by the Surrey team for the first time since he could not get in any form and struggled to score runs at a decent rate. However, even with an average of 53.14 in first-class cricket, Ramprakash still feels frustrated by the fact that he was never able to really make a name for himself in Test cricket, where he averaged a dismal 27.32. Ramprakash only recorded two centuries in his entire Test career, with the first one coming against the West Indies in Bridgetown in 1998, where he made 154, and his second century came three years later against Australia at The Oval, where he scored 133 runs. He has also represented England in 18 ODIs, with an average of 26.85, and his highest score being 51. In terms of his county career, Ramprakash made over a 1,000 runs in 20 separate seasons, and in 1995, 2006 and 2007, he even went past the 2000 run mark. Ramprakash’s highest score in his first-class career came in 2006 against Northamptonshire, when he remained unbeaten on an astounding score of 301 runs. This entry was posted in Uncategorized and tagged 100 first-class centuries, 1000 runs, 2000 runs, Australia, cricket, dropped, England, frustrated, Mark Ramprakash, Middlesex, no regrets, Northamptonshire, struggle, Surrey, The Oval, West Indies. Bookmark the permalink.